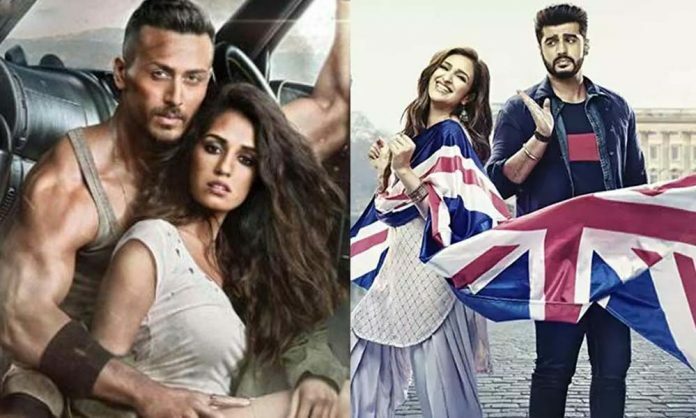 While Tiger Shroff Shines With Baaghi 2, Varun Dhawan Does Average, Arjun Kapoor Disastrous With Namaste England! Amongst the young actors, while Varun Dhawan had two releases this year, Tiger Shroff and Arjun Kapoor had one each! While Tiger shone with the film Baaghi 3, Varun did good enough with his two release, October and Sui Dhaga. On the other hand, Arjun proved to be disastrous with his film Namaste England. Baaghi 2 did exceedingly well with its box office figures as it is one of the highest grossers of this year. With its collections being around Rs 253 crore worldwide, the film was loved by the audience. Tiger’s charm worked for the film and Disha Patani was an add on. Varun, with October, did manage to impress the critics. But the film couldn’t do wonders at the box-office. However, it wasn’t a failure either as it had raked Rs 57 crore worldwide, which is reasonable knowing that the film didn’t have a mass appeal. Sui, Dhaga on the other hand entered the Rs 100 crore club having some good performances by Varun and Anushka. Now coming to Arjun, he could have done way better with Namaste England. His jodi with Parineeti Chopra is a loved one, but that too couldn’t work here. It was a franchise film with Namastey London being the first instalment. Such films already have their audiences set. But the weak storyline and below average performances made Namaste England tank badly at the box-office with the collection of mere Rs 8 crore. All in all, Tiger is doing great and his upcoming film like Rambo and Student Of The Year 2 already have an ample amount of buzz. Varun too is doing good with his choices of films and we are eagerly waiting for Kalank. It will be interesting to see what Arjun has in store for the audience with his next releases Sandeep Aur Pinky Faraar and Panipat. Previous articleDid You Know Whom Does Kriti Sanon Follow On Instagram?